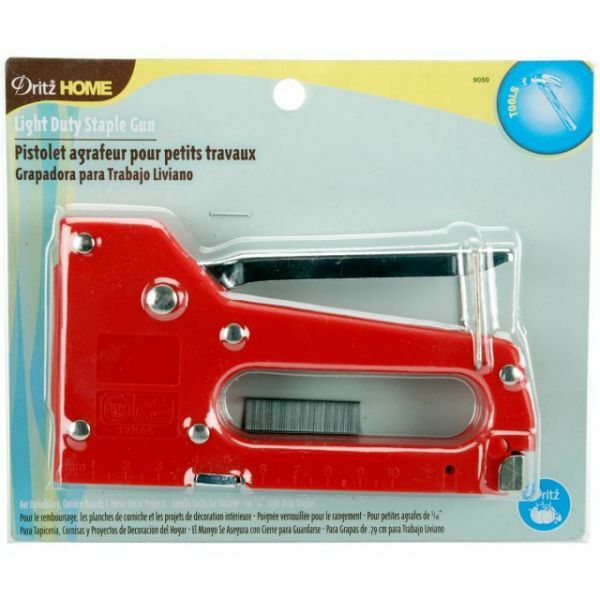 Light-Duty Staple Gun 5/16" - DRITZ-A light duty staple gun that uses 5/16 staples. Color: Red. 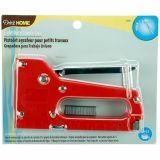 Size of staple gun: 3-3/4x3-1/8. For upholstery, cornice boards, and home decor projects. Handle locks for storage. Works on wood, dry wall, foam core, and more! Caution: keep away from children. Always wear safety glasses when using this tool. Never point staple gun toward face.